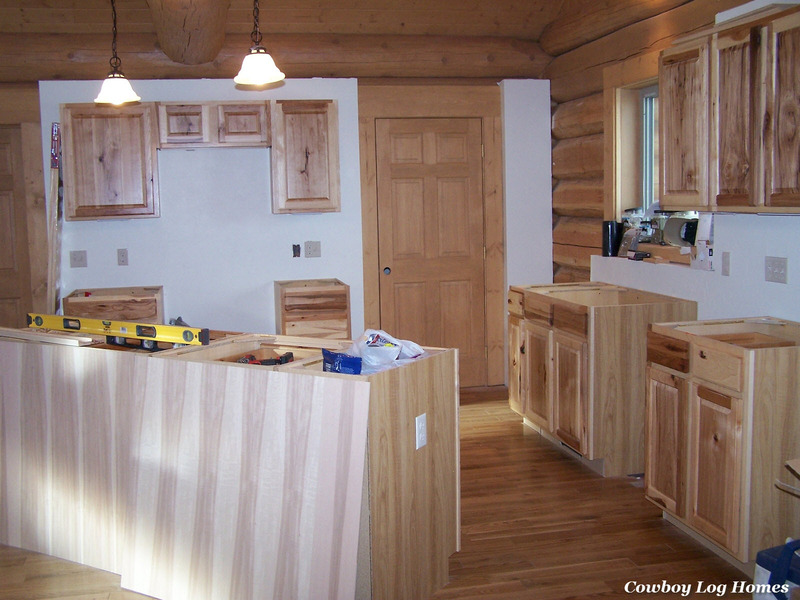 As we near the completion of our handcrafted log home in Gallatin Gateway, Montana the kitchen cabinets and counter tops are some of the last finish work to be completed. 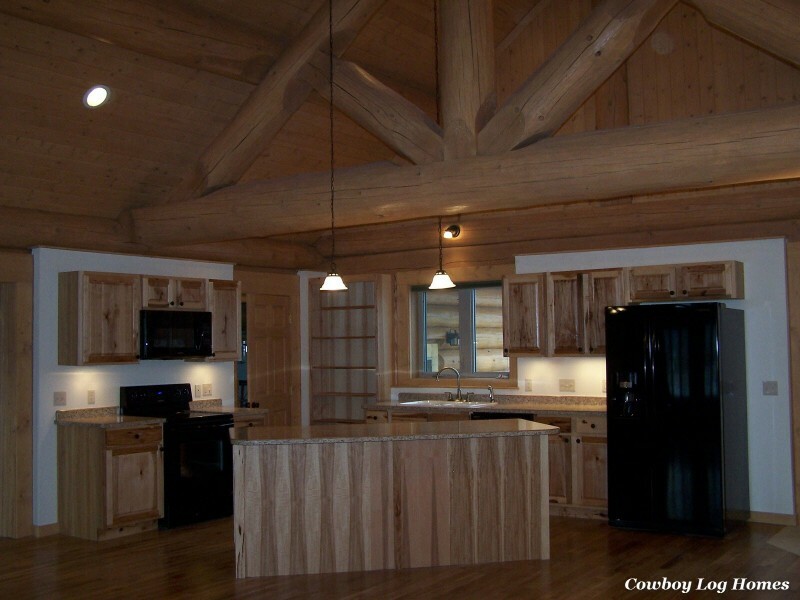 The Bear Creek design locates the kitchen in the north end of the great room. This is a matter of choice. If you desire all the living space in one free flowing room then placing the kitchen in the end of the great room is a good decision. If you are one that likes the kitchen separate from the living room area then moving the kitchen into one of the wings is a better arrangement. Here we see the base cabinets have been set into place and the wall cabinets are hung. 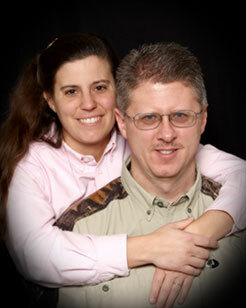 The owners have chosen pre-finished Hickory cabinets, hardwood oak flooring, and laminate counter tops. For the area to the right of the door a custom Hickory shelf will be built in our cabinet shop and installed. This area behind the door was too narrow for standard cabinets, so the shelf was a good solution. For the island additional base cabinets were lined up and screwed together. The electrician installed an electric outlet on each end of the island. The hickory sheets leaning up against the back of the island will be installed as the back face and will be stained to match. After a few days the counter tops are installed. The owners have chosen a more economical, but still beautiful, laminate counter top. The counter top on the island has been extended back to allow for a breakfast bar and seating behind it. The appliances are all as sleek black finish. 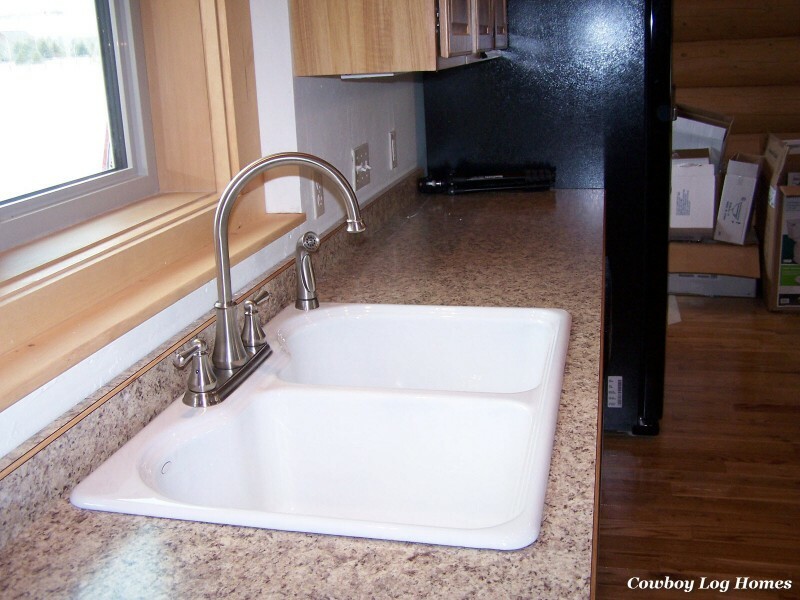 Here we see a close up look at the kitchen sink and counter top. The sink is a custom Kohler brand cast iron sink. It is very heavy, and heavy duty, while still having an elegant shape. The kitchen faucet is a high neck design allowing for deep pans to be washed. The counter top is a post form style with a Hickory wood edge on the top and front angle. The color is a light beige with darker flecks, closely resembling granite. Now the Hickory shelf has been installed. It has a total of 6 adjustable shelves. This cabinet is designed to stay permanently where it is located, so it has been bolted to the wall to prevent any movement of the unit. This solid wood shelf also could have been designed with cabinet doors (but don’t tell Mike I told you so :). And finally we see the kitchen finished. Under the counter lighting, pendents on chains, and the overhead recessed lighting make the kitchen well lit. 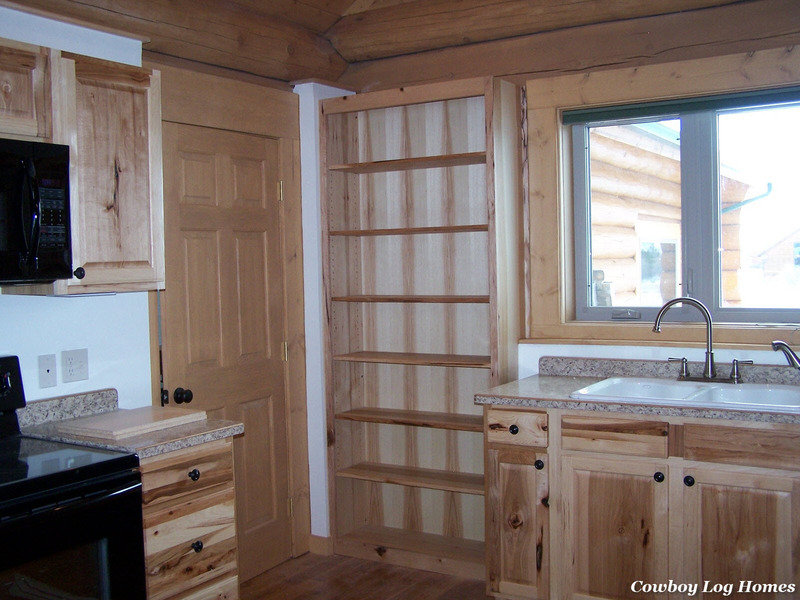 The Hickory cabinets match well with the hard wood flooring and wood ceilings. The drywall provides a break to the solid log walls while also making it easier to clean. 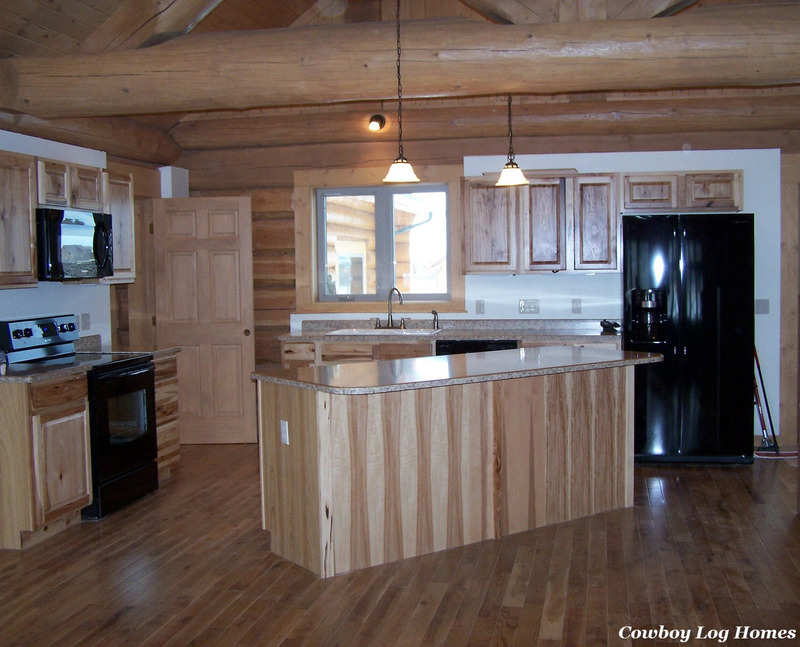 Log home kitchens are areas for the imagination. So many features can be added to enhance the feel and warmth that your particular home is intended to create.